Premier and Liberal leader spar in electoral reform debate, a man dies from an overnight Surrey shooting and the Vancouver Canucks continue to roll with a win in Boston. Those stories and more on Morning CHEK. Fiery exchanges between Horgan and Wilkinson in a referendum debate: Many observers of last night’s debate on electoral reform aren’t sure if it made things any clearer for British Columbians. Fiery exchanges between B.C. Premier John Horgan and Opposition Liberal Leader Andrew Wilkinson and many are talking about the premier’s attempt at ‘hip’ lingo promoting proportional representation. Horgan told Wilkinson at one, “If you were woke, you’d know pro-rep was lit.” Wilkinson defended the current first-past-the-post process. Voters have until Nov. 30 to get mail-in ballots to Elections BC. Man killed in Surrey shooting: Police in Surrey have confirmed a 22-year-old man died from an overnight shooting. He was found outside a home in the Newton area around 1:30 a.m. and no arrests have been made. Poppy box theft suspect in court Friday: Victoria police say a man is appearing in court Friday morning, arrested in connection to a poppy donation box being stolen early Thursday morning at a Tim Horton’s in the 2600-block of Blanshard Street. The suspect threatened a customer that confronted him with a weapon before fleeing. Vancouver police warn of high-risk offender: Vancouver police warning the public about high-risk offender Randall Hopley, who is living in Vancouver. Police say the 53-year-old Hopley poses a risk of harming young boys. 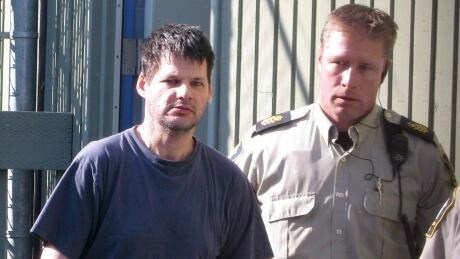 Hopley abducted a three-year-old boy in 2011 after breaking into a home in Sparwood, B.C., only to return him four days later physically unharmed. Hopley served a six-year sentence. Plane bound for Toronto skids off Guyana runway attempting an emergency landing: A Fly Jamaica Boeing 7-57 flight to Toronto had a hydraulic failure emergency. The pilots returned to the airport in Guyana but overshot the runway, injuring several people. Eighty-two Canadians are reportedly among the 120 passengers and crew aboard. No serious injuries are reported. North Carolina police respond to school shooting report, find faulty water heater instead: North Carolina law enforcement officials say calls about an active shooter at a school this morning was actually a malfunctioning water heater. The faulty equipment was making a sound that resembled gunfire and officials believe it could be a remnant problem from Hurricane Florence. SEA-TAC visitors will soon go post-security without a flight ticket: Some visitors of Seattle’s SEA-TAC Airport will soon be able to pass through security checkpoints even if they don’t have a ticket to fly. That hasn’t been allowed in 17 years. It’s a pilot program and all visitors will have to be approved by TSA and undergo the same security screenings as travellers. Up to 50 people a day will be able to visit. Ryan and Mellencamp engaged: Actor Meg Ryan announced she and singer John Mellencamp will tie the knot. Ryan simply put “ENGAGED!” on her Instagram feed, with a hand-drawn picture of her and Mellencamp holding hands. Mellencamp will be playing a show in Victoria Monday night. Galifianakis, Jackman star in ‘Missing Link’: The trailer is out for the animated comic adventure “Missing Link” about a funny, furry, eight-foot connection to our past who is looking to his future. Zach Galifianakis, Hugh Jackman and Zoe Saldana lead the voice cast. “Missing Link” lumbers into theatres next April. Canucks win high-scoring tilt with Bruins in Boston: An offensive explosion from the Vancouver Canucks Thursday night led to another win. Bo Horvat with 4 points in an 8-5 win over the Bruins. Canucks have points in five straight games. Royals host Chiefs Friday: The Victoria Royals look to end a two-game slide when they host the Spokane Chiefs Friday night. The Royals are eight points back of B.C. division-leading Vancouver, but hold three games in hand. Roethlisberger with five TD passes in win over Panthers: Ben Roethlisberger had five touchdown passes to five different receivers in a 52-21 Pittsburgh Steelers win over the Carolina Panthers Thursday night in the NFL. The Steelers are 6-2-1 with the win and the Panthers fall to 6-and-3.